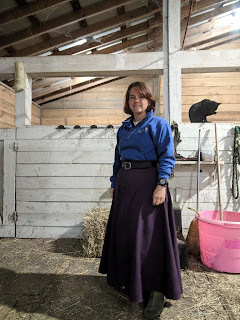 I've made passing mention of my "skirt" to friends and one of them asked about for more information, so I thought I'd give my skirt its own post. It's an Artic Horse brand skirt. It's made by ladies in Alaska for riders. I went with the "lighter" version since I don't live in Alaska. It's a full skirt with fleece lining that doubles as a rump rug when mounted. It is very well made. Mine is a 34" length, and I think it's a little too long for me, so the next one I get (yes, I want another one), I'll have them hem it to a 32". I'm 4' 11". I wear this thing doing chores a lot. It's so great! I slip it on over sweats or jeans or whatever and all the sudden, I'm warmer and all the hay and beet pulp juice and rain and snow just doesn't touch me. So much better than rain pants! I do ride in it. It's made for riding and I got it for riding. I'm just so thrilled how much I like it even for just chores. Riding in it is very nice. Depending on the temp, I wear summer weight riding tights or like today, on my 22° ride, fleece riding tights. Walk/trot/canter/gallop, no problem. My mares don't care one bit. They are both trained for rump rugs and both very sensible, but I was still prepared for a little bit of reaction and they just don't care. I never would have considered riding in 20° or 30° (F) degree weather without this skirt. My longest ride in it so far is about an hour and a half, but that's kinda my limit on riding when it's so cold, especially due to my toes freezing. I don't think I'd have a problem wearing it for longer if I could figure out that toe thing. I don't tend to need the skirt if the temp is above 40°. It's easy enough to tuck up the back if I need to get it off the horse's rump. Or I can tuck up the front to get a little more air for me. 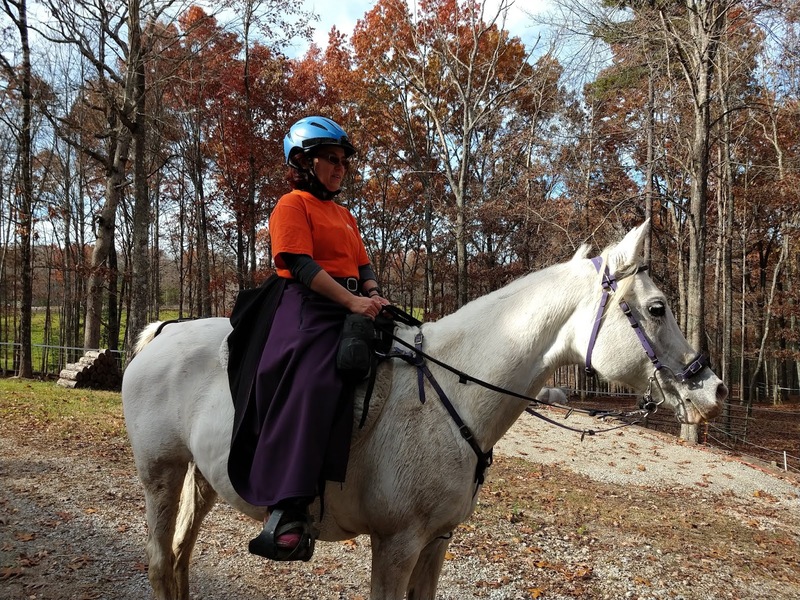 It can completely cover my saddle, including the pommel, but that makes it a little breezier and doesn't hold heat in as well. This makes me want an unlined skirt for spring training rides. Did I mention the pockets? This thing has 2 amazing deep pockets. I can put both my bulky winter Carhartt mittens in one pocket. Not a flattering look with them both in there, but definitely doable. This is not an affiliate link and I paid full price for my skirt. This review wasn't solicited by Arctic Horse. Just a happy customer. Me with the skirt tucked in to my belt to keep it off the horse's rump. View from the back with the skirt tucked up. 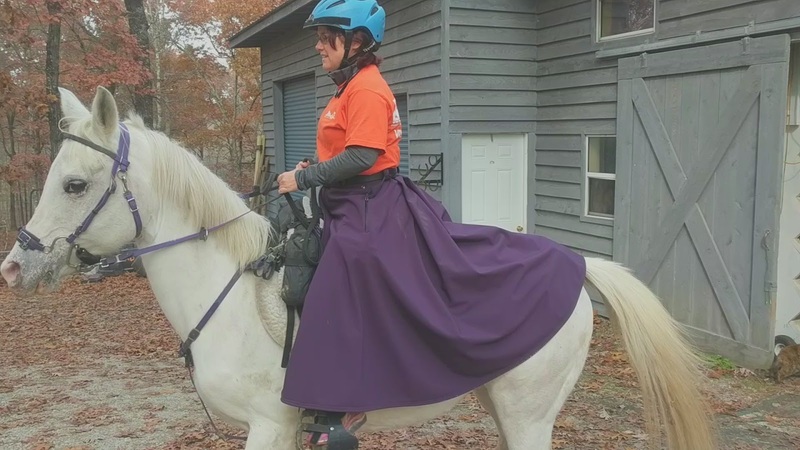 This skirt is at the very top of my wish list of riding gear. I can't bring myself to splurge on it until I buy warm winter boots for work, but some day... *dreamy sigh* Everyone one I know who has one LOVES it. I've been coveting an Artic Horse riding skirt for a couple of years. I was hesitant to purchase online for such an expensive item that would be custom made. Well, lucky me, I found Artic Horse at Cowboy Christmas in Las Vegas this last December. AND BOUGHT MY SKIRT! After meeting the woman who designed this skirt I feel confident if I need to order again that I will be well taken care of. 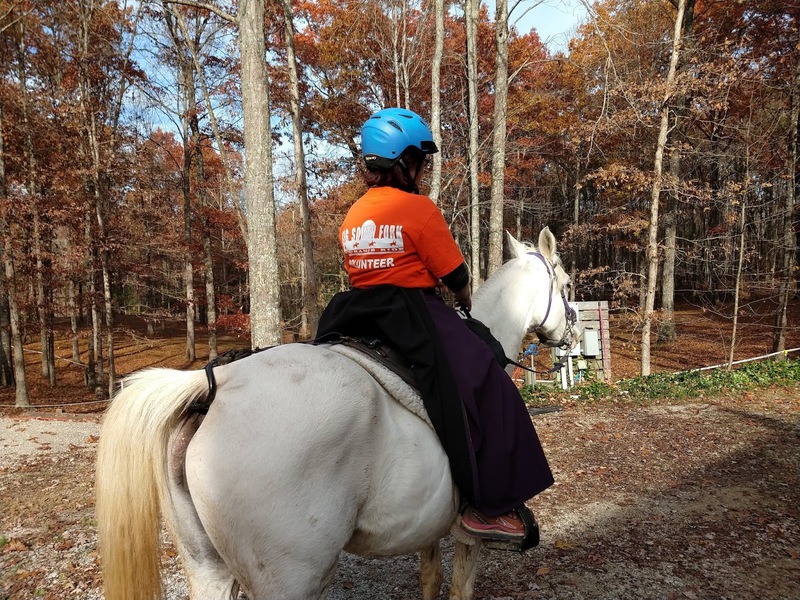 Our horses wear the best, we should too!